“Is there a way to lower my monthly payment?” If your debt has decreased and your credit score has improved, there is a good chance you could qualify for a lower interest rate. “Can I refinance to a shorter loan?” Refinancing isn’t just a way to lower your monthly mortgage payment. You can also reduce the amount of interest you will pay over the life of your loan. “Can I pay more toward the principal?” If you’re able to pay as little as an extra $100 per month on your loan, you could reduce the lifespan of the loan and therefore the amount of interest you have to pay on it. 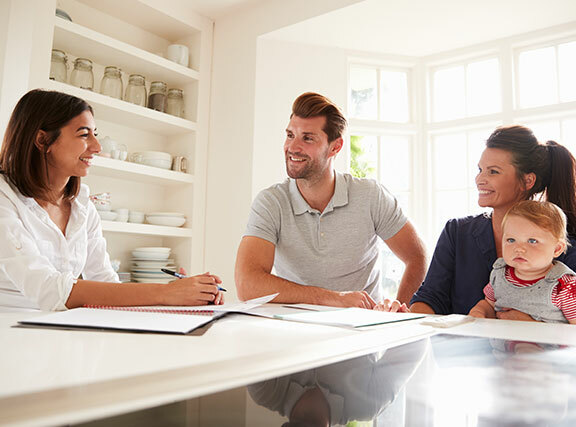 “Is it time to change mortgage types?” Only a mortgage professional will have the insight on loan trends and loan forecasting to be able to guide you through this decision. With a professional, it’s not a gamble. “Can you make my monthly payments less burdensome for me?” If you’re in a tough place and you’re worried about missing payments or defaulting, it’s time to call your lender. Making that call before the damage is essential. You never know what they can help you work through!